The Devanagari script forms the backbone of the writing system of several Indian languages including Sanskrit and Hindi. 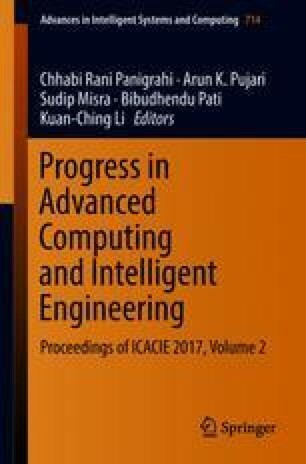 This paper proposes a method to recognize a Devanagari character from a digital image using primitive feature information. The procedure involves representing each character in terms of the presence and location of primitive features like vertical lines, the frequency, and location of the intersections and the frequency of intersections of character body with Shirorekha (the top horizontal line of a Devanagari character). The classification of the character is done on the basis of the existence and (if present) the location of these features in the glyph (test character). The proposed method gave 93.33% accuracy with 21 fonts used for Hindi, Sanskrit, and Marathi and 72.72% accuracy for the handwritten character samples taken from 22 different people from varied age groups for the Ka-Varga—the first five consonants of the Devanagari script. The method worked better for handwritten samples of younger people (aged 20–25 years) than the older ones (aged 40–50 years). Cardona, G.: Devanagari. (Encyclopædia Britannica, inc.), https://www.britannica.com/topic/Devanagari, last accessed 2017/05/17.